It is time to close the books and come to some conclusions about the history of visible brushstrokes (and other marks made by painting tools). 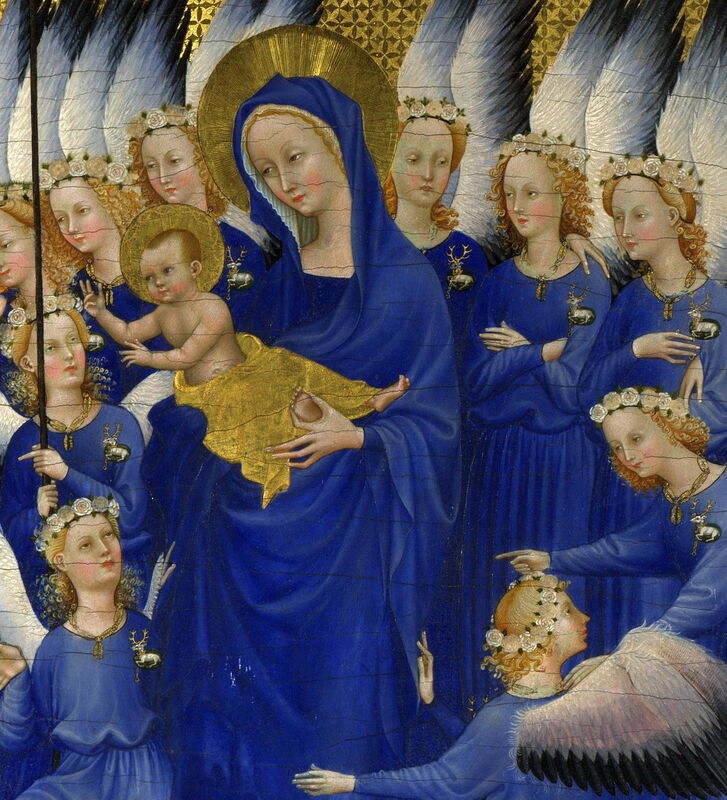 Prior to the Renaissance, painting media and techniques used – largely egg tempera or fresco – offered very limited scope for leaving brushstrokes in the paint layer, and established practice was that marks were left in gold leaf and other metals which were applied to many paintings. During the Renaissance, the widespread adoption of oil paints enabled major changes in painting techniques which were reflected in artistic styles. In northern Europe, the major development was the faithful representation of surface textures and optical properties using pigments and layers of paint, rather than exploiting the physical properties of the paint itself. Nevertheless, some background passages, particularly in ‘filler’ vegetation were painted leaving more overt evidence of the brush. Southern Europe developed oil painting in a different direction, and painters in and around Venice in particular manipulated the properties of oil paint, and the way in which it was applied, to help model surface textures in the motif. 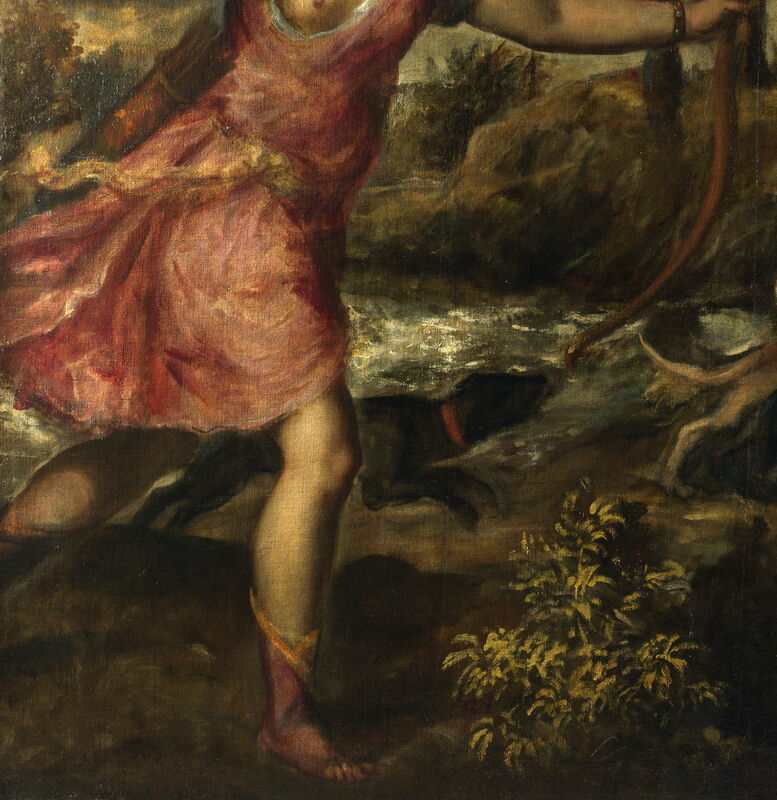 Titian (Tiziano Vecelli) (c 1490–1576), The Death of Actaeon (detail) (c 1559-75), oil on canvas, 178.8 x 197.8 cm, The National Gallery, London. Wikimedia Commons. 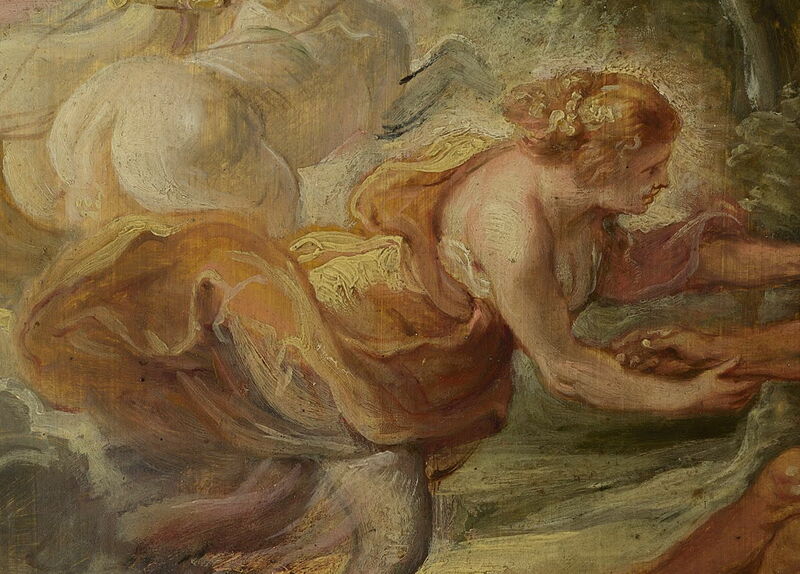 Throughout Europe, painters left brushmarks in their oil sketches, but these were not intended for public view. 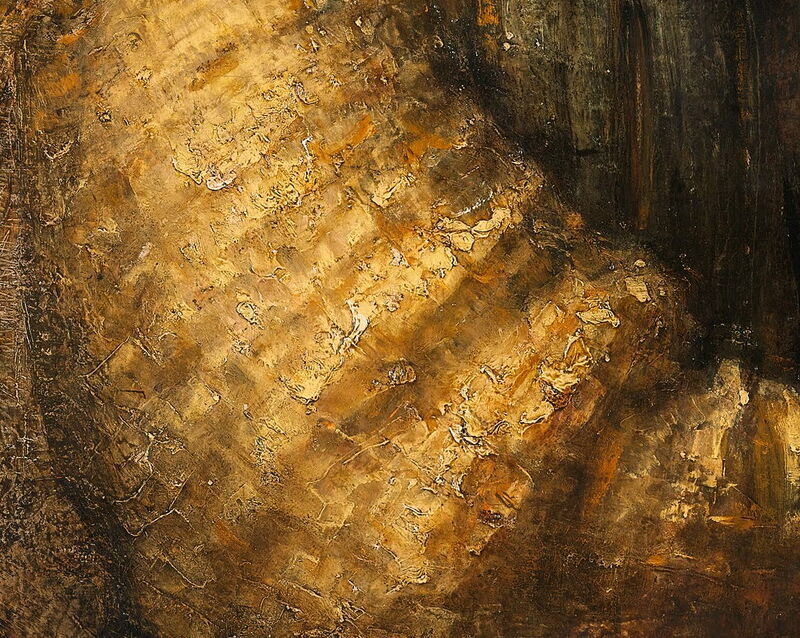 A few artists, including Rembrandt and several Venetians (and those who came under their influence), started to use brushmarks in their finished works. This was most common in passages representing textiles and fabrics, but occasionally was even used to represent flesh (late Rembrandt). After about 1750, it became fashionable for portrait painters to show brushstrokes in passages depicting clothing and other fabrics, and in the background, and occasionally hair, although this was not adopted by the highly neoclassical, and was confined to this genre; visible brushstrokes were avoided in history and landscape painting still (apart from occasional Venetian exceptions such as Francesco Guardi). 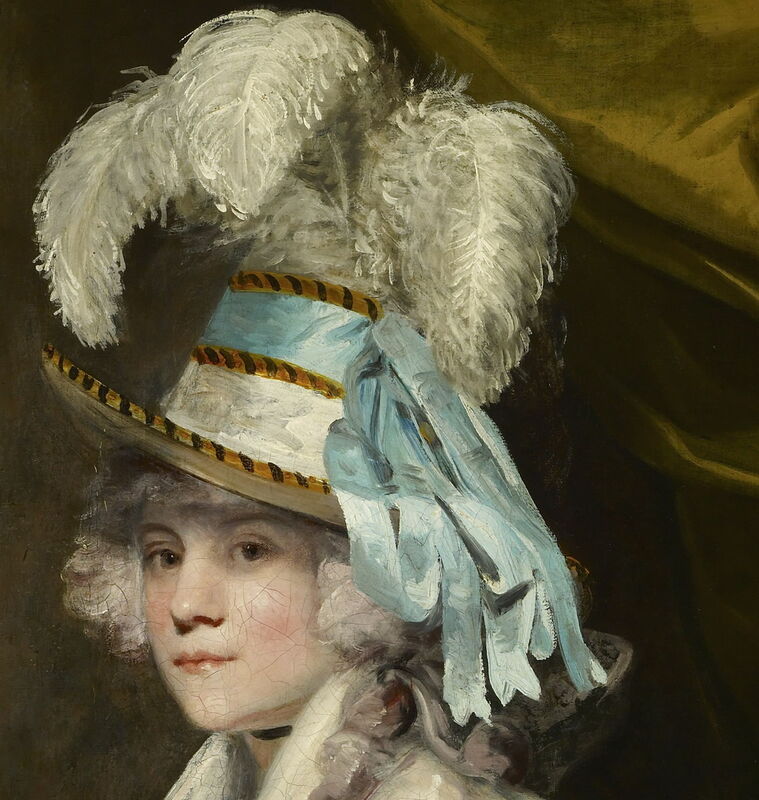 Joshua Reynolds (1723–1792), Elizabeth, Countess of Warwick (detail) (c 1780), oil on canvas, 127.3 × 102.2 cm, The Frick Collection, New York, NY. Wikimedia Commons. The 1800s saw the steady spread of painterly marks across genres, and in any or all passages, not just those showing fabrics or textiles. 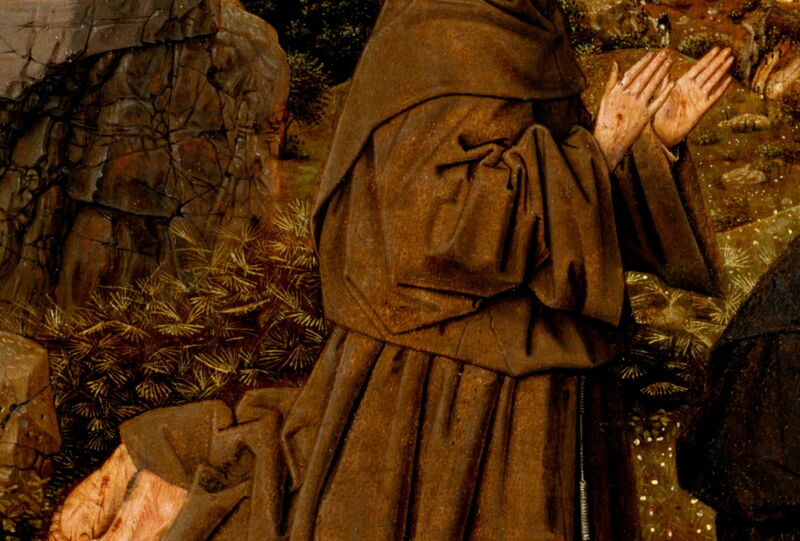 However they remained most common where used to emphasise surface textures. 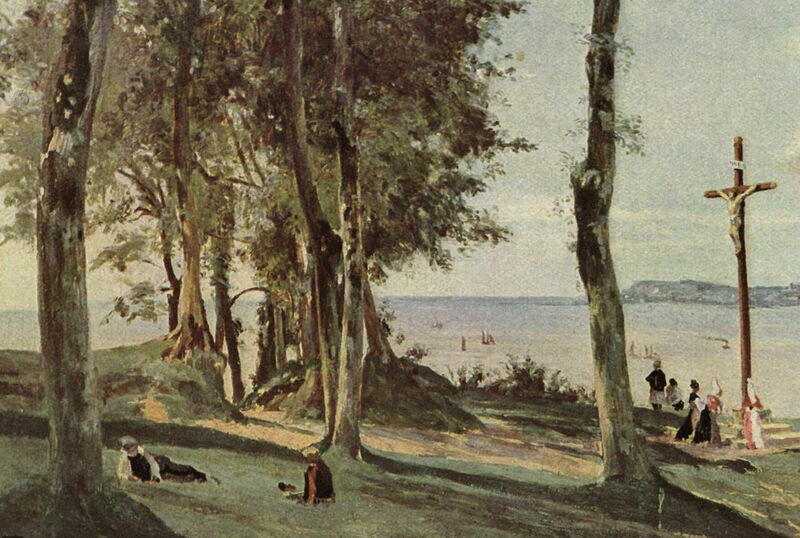 Jean-Baptiste-Camille Corot (1796–1875), Honfleur: Calvary (detail) (c 1830), oil on panel, 29.8 x 41 cm, Metropolitan Museum of Art, New York, NY. Wikimedia Commons. After about 1850, more innovative painters were leaving brushmarks in many of their paintings which they deemed complete, and intended for public view. Johan Barthold Jongkind, Environs of Breda (detail) (1857), oil on canvas, 30.3 x 45.6 cm, Museum of Fine Art, Houston. Wikimedia Commons. 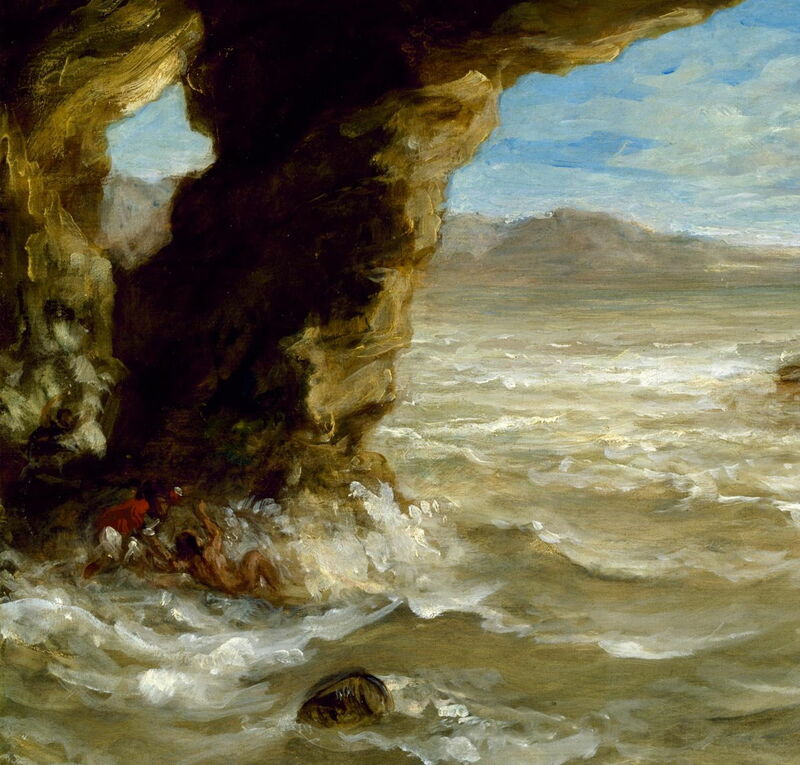 Eugène Delacroix (1798–1863), Shipwreck off a Coast (detail) (1862), oil on canvas, 38.1 x 45.1 cm, Museum of Fine Arts, Houston, TX. Wikimedia Commons. to exist independent of form or texture: the constructive stroke (Cézanne). 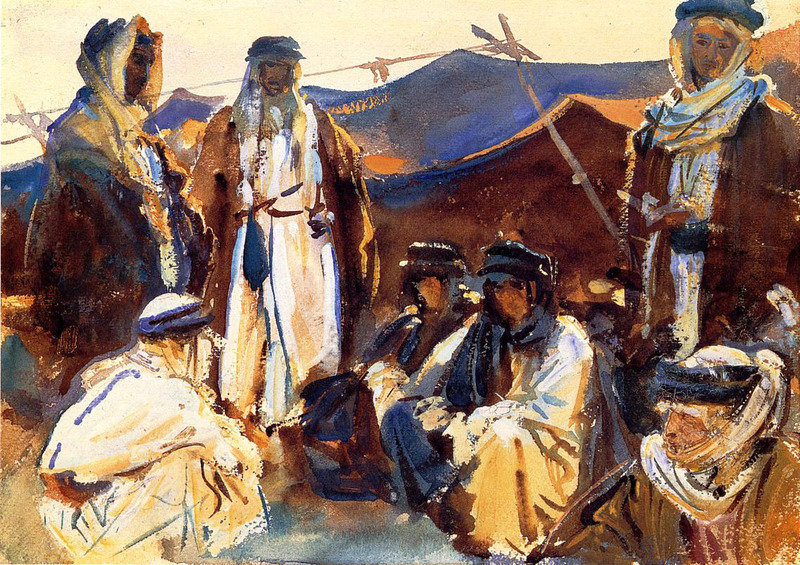 John Singer Sargent’s oil and watercolour paintings are rich in formative and gestural marks, as seen in his Bedouin Camp (1905-6). 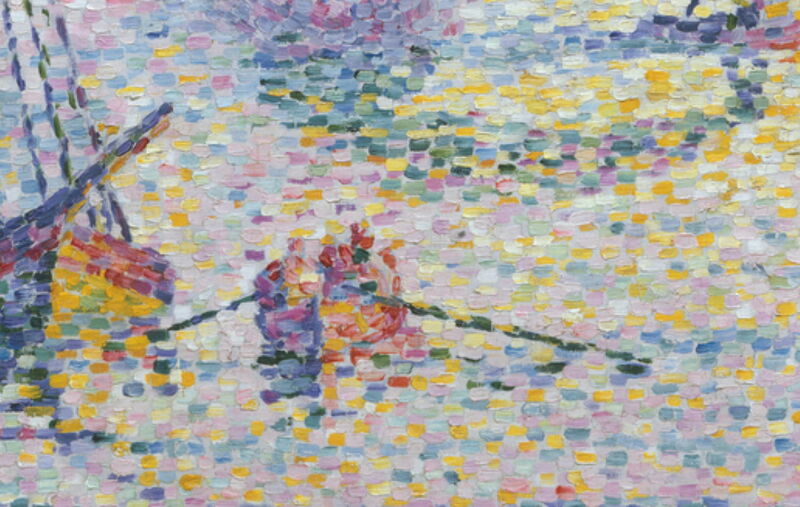 Signac’s Neo-Impressionist painting Notre-Dame-de-la-Garde (La Bonne-Mère), Marseilles (1905-6) shows one form of Divisionist mark. 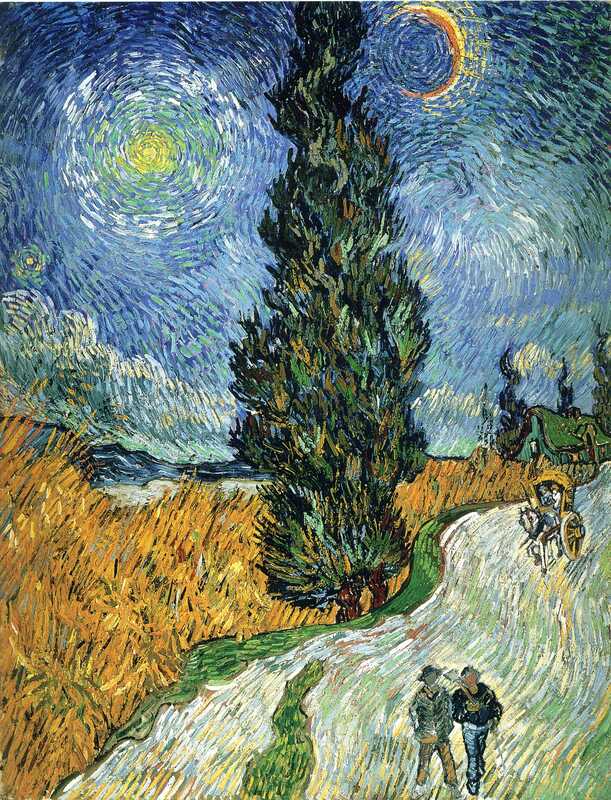 Vincent van Gogh’s Road with Cypress and Star (1890) has general self-organised marks, some of which relate to form, but which are part of a manifestly emergent phenomenon. 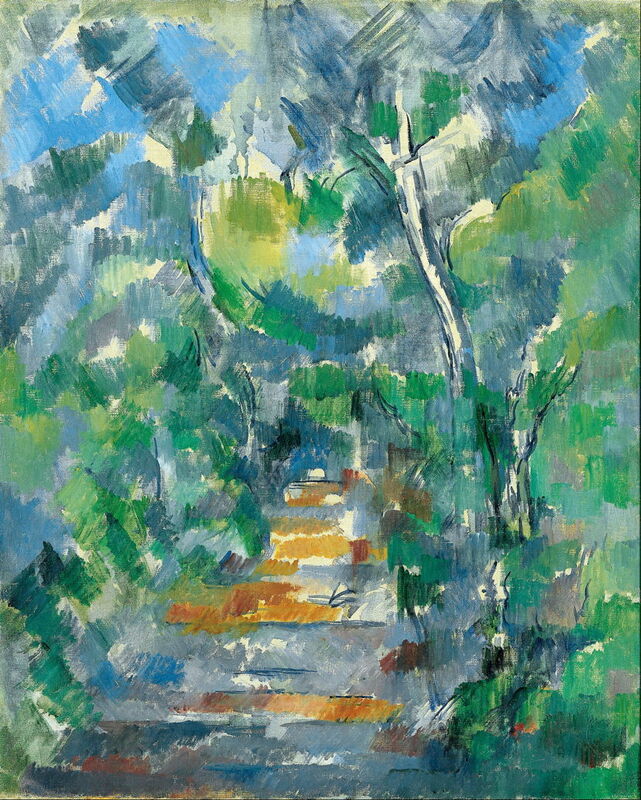 Cézanne’s Sous-bois (Wood) (1900–02) is made up from rectangular patches of parallel brushmarks, his constructive stroke, which appear to displace and dissolve any underlying form. As Professor James Herbert has shown, the making of these marks is habitual and largely unconscious. Although their use is a conscious artistic choice, their emergent nature gives them properties of their own. Marks were important to the Impressionists, as they were an obvious symbol of their rejection of the Salon system, and a link to the ideal of direct observation of the motif, and of painting from sensations obtained en plein air. Marks were a key contrast, between a Salon painting devoid of sensations, cold, and perfectly smooth in finish, and an Impressionist painting rich in sensations, spontaneous, painted briskly on the spur of the moment, and full of brushmarks leaving a textured paint surface. In truth the Impressionist painting became as much an illusion as that of the Salon: abundant brushmarks applied wet-on-dry showed that many Impressionist masterpieces were as far removed from the direct sensations of the motif, and as deliberate artifices crafted in the studio. Still we associate brushmarks with sketchiness, speed of painting, spontaneity, bravura, and panache – and smooth paint surfaces, assembled from multiple layers and glazes, as being heartless mechanical essays in technique. The deepest illusion is that which I think brings much of the appeal of painterly paintings: that their image is created in the mind of the viewer as an emergent phenomenon from the assembled cues of apparently random, meaningless squiggles and blots. Amazingly that was recognised by Italian critics in the eighteenth century, long before anyone had conceived of either gestalt or emergence. 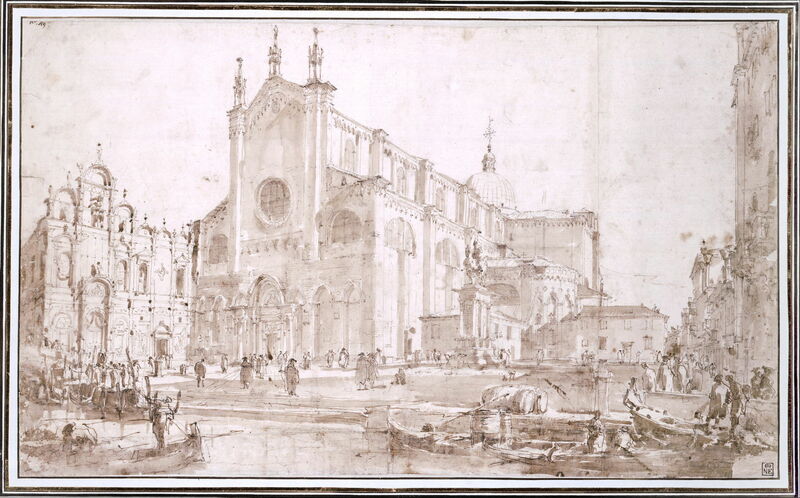 Francesco Guardi (1712–93), Campo San Zanipolo in Venice (1750-9), black chalk, brown ink, and brown wash, on paper, 35 x 58.1 cm, Museum of Fine Arts (Budapest). Wikimedia Commons. So what did twentieth century painters do next? Colour fields, pour and drip, Pop and Op. 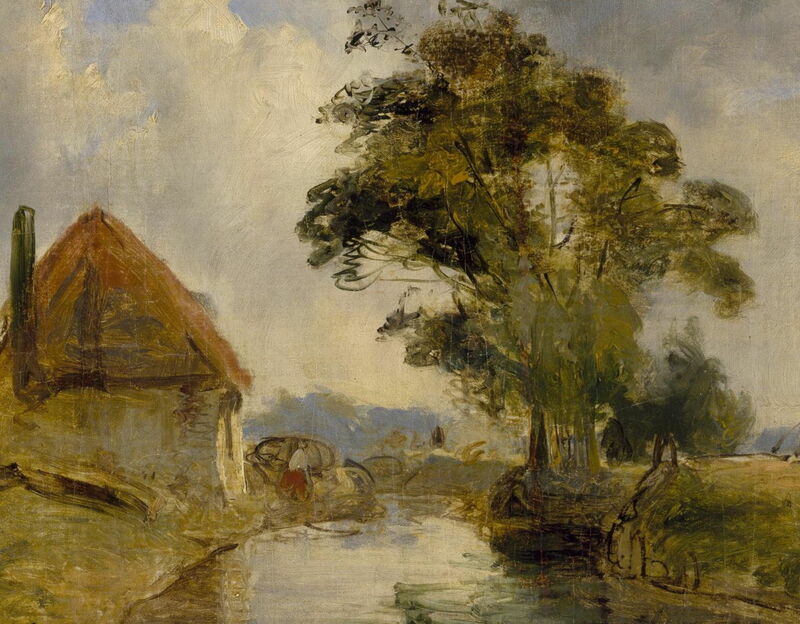 Posted in General, Painting and tagged brushstrokes, Corot, Delacroix, gesture, illusions, Impressionism, Jongkind, mark-making, Neo-Impressionism, oil painting, painting, Rembrandt, Reynolds, Rubens, Titian. Bookmark the permalink.